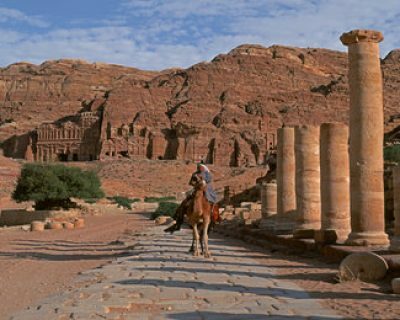 The neglected other half of the Holy Land, Jordan is a country full of Biblical and cultural highlights. You will visit Petra, one of the wonders of the ancient world; Jerash, the best preserved city of the Decapolis; the Baptismal place of Jesus on the River Jordan; Mt Nebo, from where Moses viewed the Promised Land, and, for fun, we include a float on the Dead Sea. This is a most comprehensive 12 day tour of Jordan led by a true expert. Jane Taylor lived here for twenty seven years and has produced many publications with unrivalled Jordanian photography. This 5 day programme is a perfect extension to a standard Holy Land Pilgrimage. 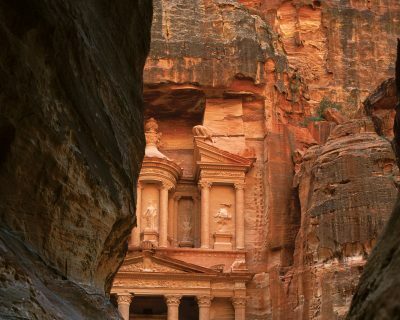 Typical visits include Petra, Madaba and Mount Nebo.